There’s nothing Over The Line Charters loves more than hearing that we are satisfying the people who choose to spend a valuable portion of their vacation with us. We strive to make your experience unique and memorable. We thrive on feedback from our customers and take all reviews into consideration as part of our continuous improvement plan. Thank you for taking the time to tell us what you loved about your charter with Over The Line Charters! Over The Line Charters takes pride in the quality service and experience we can offer our customers. We have combined exceptional vessels, a wealth of knowledge, and qualified staff to provide you with an incredible charter experience. Please take a peek below at what people have to say about their adventures with Over The Line Charters! “WE HAD THE BEST DAY! Half of us jumped off a cliff into the ocean, while the other half cheered from the boat, then we swam with sea turtles, went to 2 different beach bars and had a pizza party tied to a sail boat! It was an amazing trip, all right here around St Thomas. Our captain was so nice and helpful!” – Quincey P.
“Captain Travis was an awesome guide. He knew the places to go for snorkeling, beaching and swimming with turtles. He was great with the kids and adjusting to what we wanted to do. I would recommend this to anyone who enjoys the water.” – Kathryn F.
“This is the second time that my family did a day charter with Over The Line. We had Trent as a captain this time, and he was awesome! He took us to 3 great snorkeling spots (and he hung out with our 5 year old on the boat while we snorkeled, since she won’t get in the water! ), a great out-of-the-way beach on a random island, and to Willie T’s for a great lunch. This is our second trip with Over the Line Charters, and without a doubt, and without hesitation, I think this is a zero-risk outfit and you will have an amazing and well-cared for time with them.” – Holly C.
“Extremely pleased with our full day charter. Boat is very well maintained. Lot’s of fun! Absolutely beautiful day and sunset. 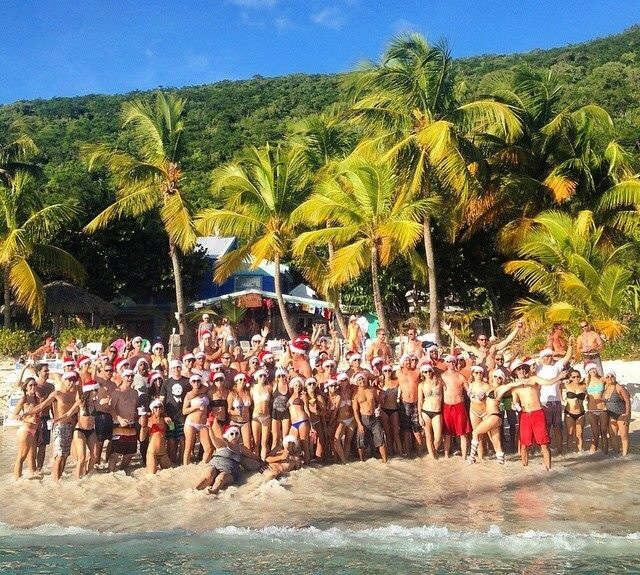 Thanks Garth!” – Raquel R.
“I wouldn’t use anyone but Over the Line charters if you’re planning a BVI trip! Best day ever with even better friends and tour guides. Showed us an amazing time, filled with adventure and beautiful spots only the locals would discover :)” – Juliana G.
“We had the most amazing time with Travis driving us around this past week. The entire day was perfect. From the snorkeling to the uninhabited beach we went to. The speed of the boat was also a lot of fun! We were able to give Travis a list of things we wanted to do and he delivered! Thanks so much for a beautiful time! !” – Kacy H.
“Had an incredible experience with Over The Line Charters on my recent trip to St. Thomas. Our captain gave all of the guests an opportunity to explore and see different attractions of both St. John, U.S.V.I and the B.V.I.’s all in a one-day charter. Our customs stop was quick and easy. Above all our comfort and enjoyment was priority and much appreciated! Can’t wait to book again! Perfect for couples, families and larger groups.” – Ashely B. Ready To Create Your Own Incredible Memories? Are you ready to join our growing list of happy customers? Just contact us today and let’s start planning your perfect trip, tailored to making your island-hopping dreams a reality!